If you read the same publications that I do, then you know all about Derek Blasberg's recent Barn Dance Birthday Celebration. 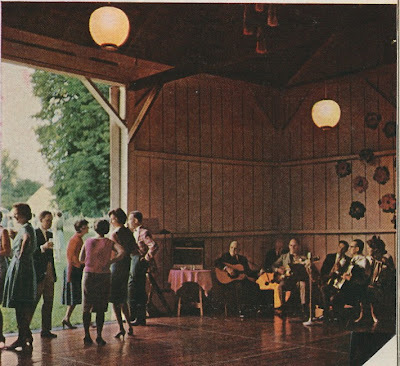 It sounds like it was quite a do. 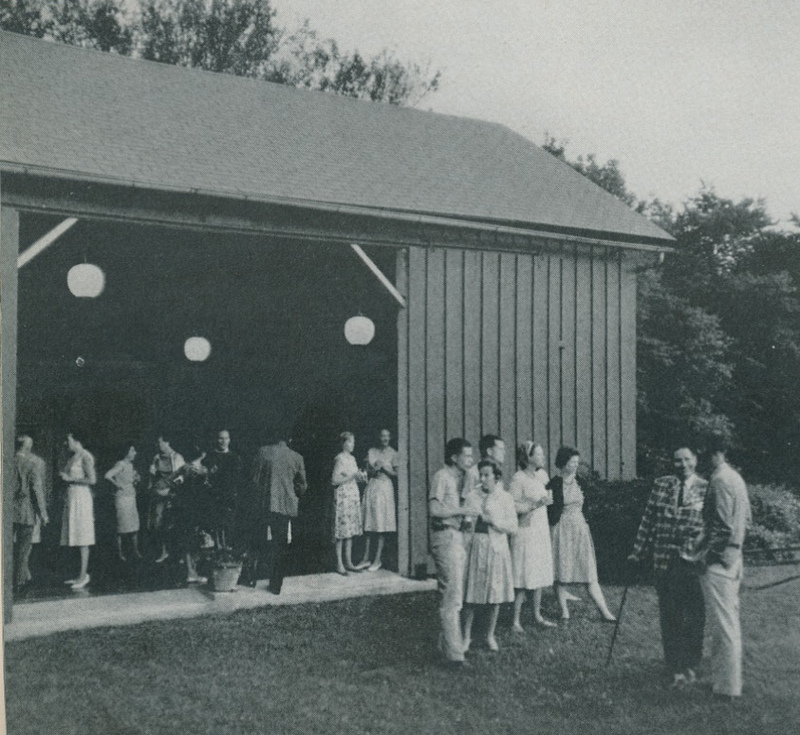 Will we now see a flurry of barn dances in its wake? I don't know. 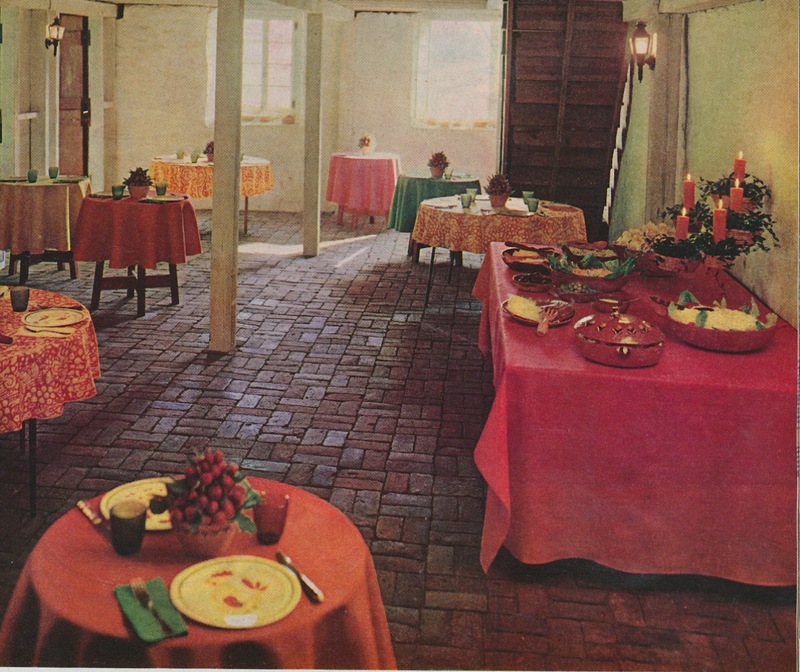 Hosts and hostesses will first need to scrounge up some barns. 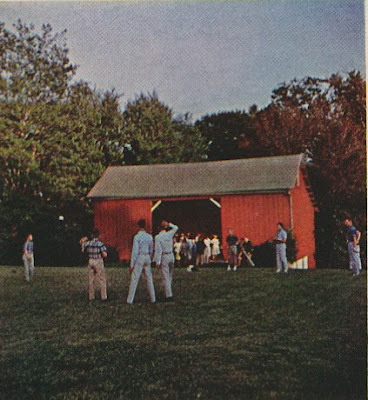 I'm not sure when the heyday (make that hayday) of barn dances was, but House & Garden promoted them in their 1966 article, "How to make a 'big do' great". 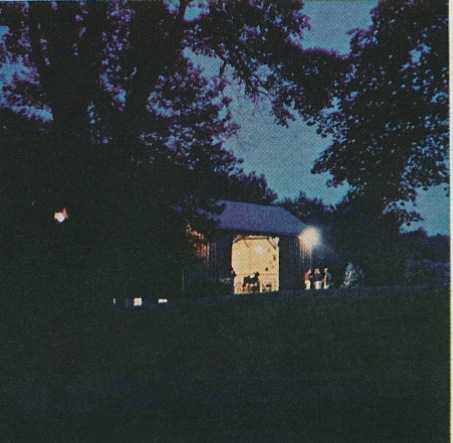 The featured party took place at a split level barn in Malvern, Pennsylvania. The guests, who included teenagers as well as adults, dined in the lower level of the barn, while dancing took place in the upper part. No word as to whether there was any square dancing or bobbing for apples. 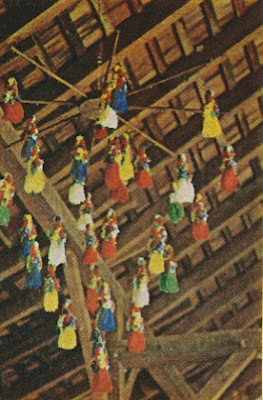 Donkey tassels from Sicily were hung from the rafters. A papier-mâché rooster oversaw the festivities. 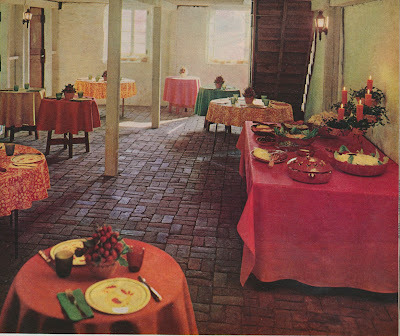 All photos from House & Garden, April 1966. 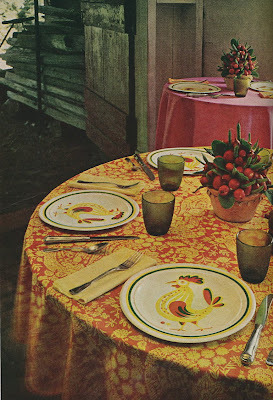 Love this post, and their interior shots of the table settings. Italian Donkey Tassels?! 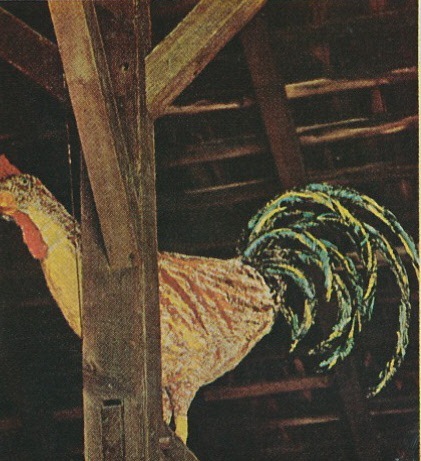 Maybe this will be the newest home decor trend and we'll soon see them in all the catalogs. Just think....antique Italian Donkey Tassels for sale on 1stdibs. I've been wondering what the next big trend might be. Enjoying all your posts and I hope you don't mind me having a bit of fun here.